Avery Elle: Two Clean and Simple Cards! Heather and Ashley are on the blog today.. Check out their clean and simple cards! I love how Heather created this the water color background and stamped the sentiment from our Sentimental Too clear stamps. 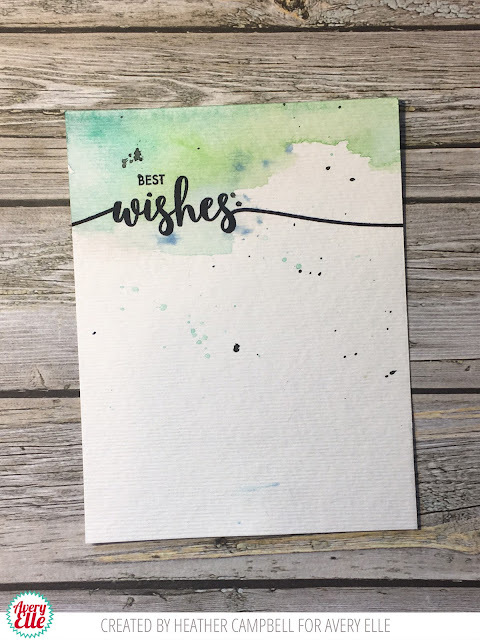 This is a great way to create a quick card with a modern look. This next card by Ashley is fantastic. 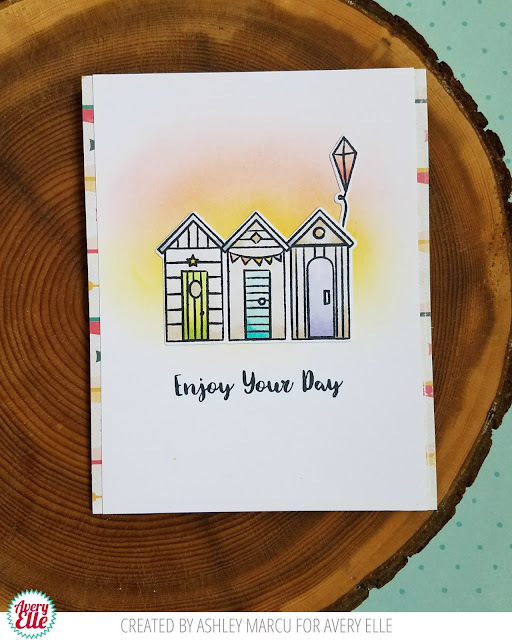 I love the shaded ink behind the cute beach huts and kite from our Beside The Sea clear stamp set.